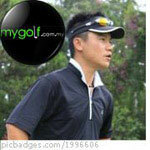 Malaysia Golfing Community :: View topic - Contest Part 3: 10 EURASIA CUP Season Passes To Be Won! Contest Part 3: 10 EURASIA CUP Season Passes To Be Won! MY bag is set, time to shut up and show up!! The player that in Malaysia team is Nicholas Fung from Sabah. You may start to collect your season passes on 24 March 2014 (Monday) at Golfworks Fitting Studio in Kelana Jaya.